Pakistan Telecommunication Employees Trust (PTET) was established in January 1996 under the provisions of "the Pakistan Telecommunication (Re-organization) Act 1996". 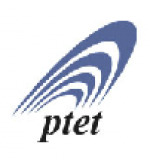 PTET is managed by a Board of Trustees. The day-to-day administration of the Trust is assigned to the Managing Director.